Christmas books are a TON of fun to collect read. Teaching Tally Charts with Holiday Books is a great way to combine reading + math this Christmas season. Lesson Objectives: Count and make a tally chart. This activity also encourages children to pay closer attention to the pictures. 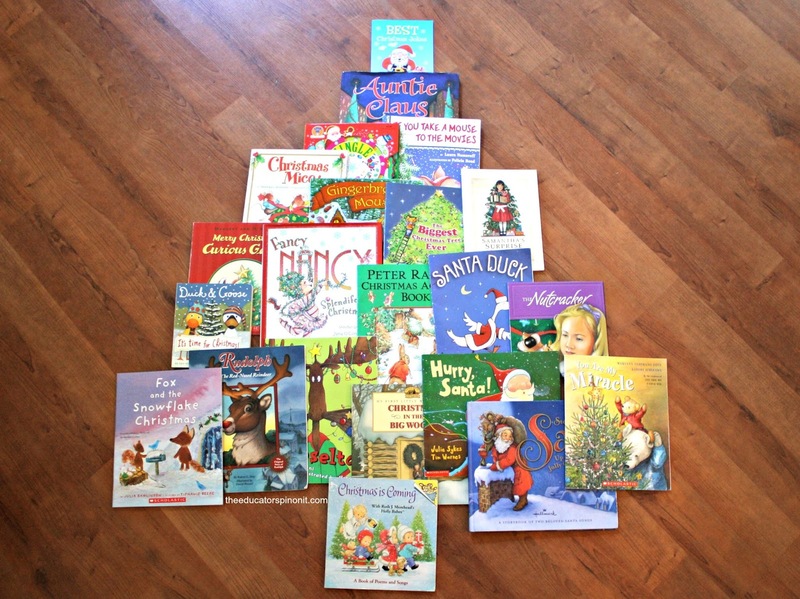 If you are like East Coast Mommy and unwrapping a book each day, then you will definitely have a few Christmas books for this Book Christmas Tree Search! Write the title of the book on the top of the tally chart. Then, have the child look through the book for any Christmas trees. If there is a tree, demonstrate how to make a tally line straight up and down. Turn the pages of the book until they find another tree. Let them make a tally mark. Repeat the search and tally through the entire book. If there is 5 or more trees in the book, teach them how to make a diagonal tally mark and start again. This article on Math is Fun demonstrates how to make tally marks. Write the title of the book on the bottom of the tally chart. Search and tally the Christmas trees found in that holiday book. Compare the two charts. 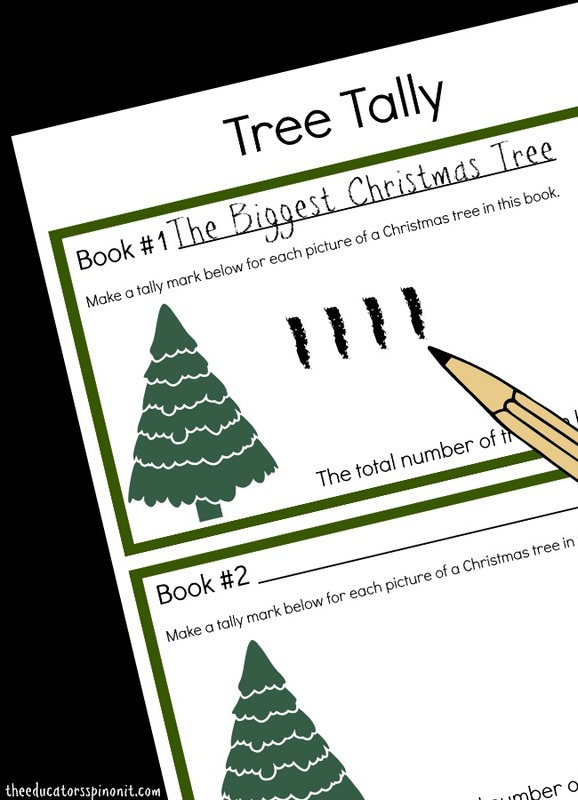 Discuss the similarities and differences in the amount of Christmas trees found in each book. may be better suited for this challenging version of Book Christmas Tree Search! Many young children will need assistance making and using tally charts. Show them how to make the marks, then let them make the marks while they are with you. If they are able to demonstrate an understanding of this activity, allow them to complete the second book tally marks independently. This activity doesn’t have to produce exact results, rather it is a process to teach them an organizational tool that stores facts.